Have you ever heard corsets dismissed as anti-feminist? Chances are you have. Perhaps it's an opinion you've even held for yourself. Well, there's a lot that can be said about corsets and feminism, but today I want to focus on femmephobia! Femmephobia is, naturally, defined as fear of the feminine, but "fear" doesn't really cover the mistrust, hatred, or dismissal that are also exhibitions of femmephobia. The mistrust, even within feminist circles, of femininity seemingly springs from the idea that low-key emulation of masculinity is a feminist goal. This itself may be an extension of the assumption that femme/beauty culture is inherently for the male gaze. To support feminist ideals, however, is instead to support choice, freedom, and opportunity. "Women's lib" isn't just about the right to own property or vote or earn equal pay for equal work. It's about the choice as well as the opportunity to do so, for more than just cis women. And so it is the same with our appearance, whether you're a high femme cis woman or androgynous and gender-fluid or anything else. Some things that feminism fights for are hard won. But the right to decide what clothes we put on our own bodies shouldn't be. You might be wondering how femmephobia is harmful. Much of the femmephobia I experience is in microaggressions – the dismissal of music or aesthetics as being too "soft" and therefore less legitimized as art. A lot of femmes are judged to be shallow, vapid, vain, unintelligent, sexually promiscuous, bitchy, stuck-up, etc... this impacts our social and our work relationships. Femmephobia is also problematic for masculine types who are interested in corsets (or other femme things). They may avoid their interests or feel obliged to make self-deprecating jokes to play them down. An overt interest in femme things may result in their being mocked... or even viciously attacked. Femininity is so reviled that toxic masculinity requires it to be stamped out, limited only to cis women. This aspect of femmephobia is often a facet of homophobia and/or transphobia. 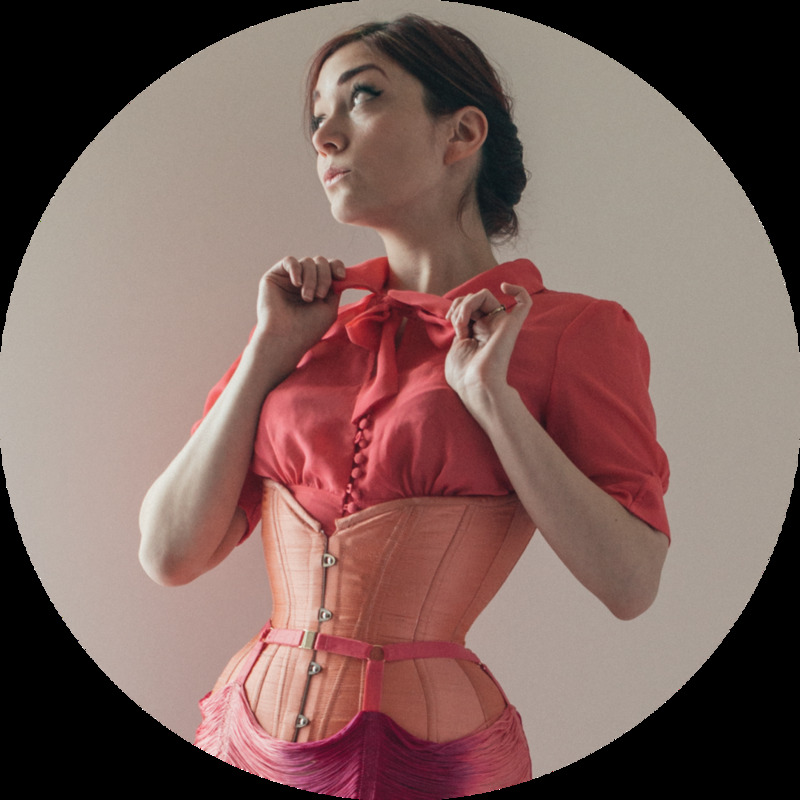 But back to corsets – do corsets inherently maintain a patriarchal structure? No, we no longer live in a society that deems that to be "proper" and "moral" we must wear corsets. If anything, corset wearing is seen as unhealthy, antiquated, inherently sexual, etc... no positive mainstream associations with conspicuous corset wearing come to my mind. But the corset wearers I know choose them for themselves: for body modification, to complement retro style, for back support, for emotional support, and so on. Do some individuals wear their corsets exclusively to please their male partners, or because they've been conditioned to feel inadequate in their own body? Sure. But the answer to that isn't to accost or disdain everyone in a corset. Shaming isn't the solution. I wear my corsets with femme pride. With bright lipstick or no makeup at all, with high heels or cowboy boots, it's my body, my fashion choices. I hope you'll join me.